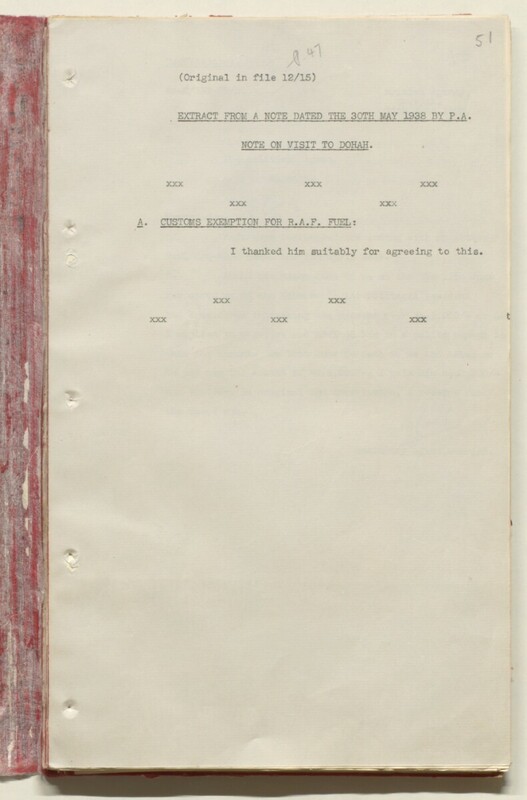 EXTRACT FROM A NOTE DATED THE 30TH MAY 1938 BY P.A. NOTE ON VISIT TO DOHAH. I thanked him suitably for agreeing to this.